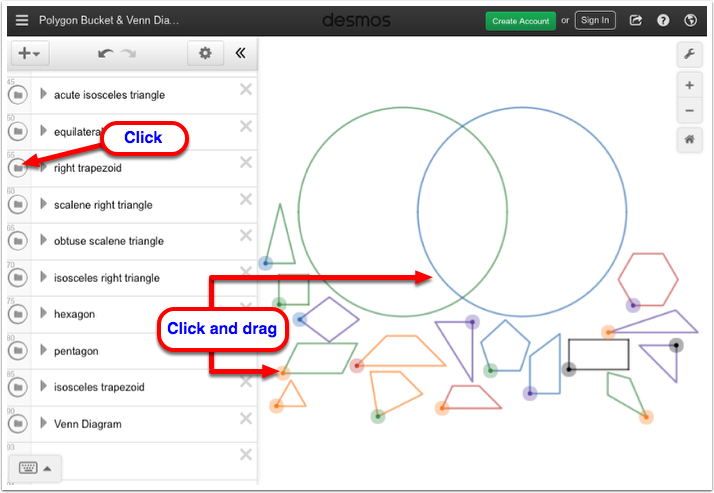 Use this eTool to learn more about different Polygons and Venn Diagram. Move a shape to the appropriate section on the Venn Diagram. Click the folder icon before the name of the shape to view or hide a shape.